While daily life can be challenging with a disability, innovations over the last few decades have made a new level of independence possible for the disabled. Services and products now make it possible for such individuals to attend school, run daily errands, and live in private homes in ever increasing numbers. Being able to live independently also prevents depression, increases lifespans, and can even improve some conditions. While this stay at home movement offers many benefits to the disabled and elderly, it is not without its costs. Extensive modifications and renovations often have to be made to homes to accommodate disabled residents. Some of these renovations are fairly un-intrusive (such as intercom and camera systems), but some accommodations require major renovations, such as the installation of chair lifts or elevators. If a homeowner considering such renovations is disabled, any associated costs are often accepted as part of the price of independent living. But what about a scenario in which a disabled individual resides in but doesn’t own a private home? This could be costly for a homeowner in more ways than one. Disabled-friendly renovations to a home can be expensive in a couple of ways. There is the cost of the renovations themselves, which can be an ongoing process. They can limit a home’s functionality and visual appeal for potential buyers, as well. On the other hand, there are a number of cost-effective resources and techniques that both allow these renovations to be made and make a home appealing to both disabled and able-bodied residents. What Does Adapting a Home for the Disabled Involve? These types of changes generally cost well over $1,000. Unless homeowners possess various renovation skills, they should be made by professional contractors. Once such changes are made, they generally become a permanent part of the house. If such changes could limit future use by new owners, this could affect a home’s value. 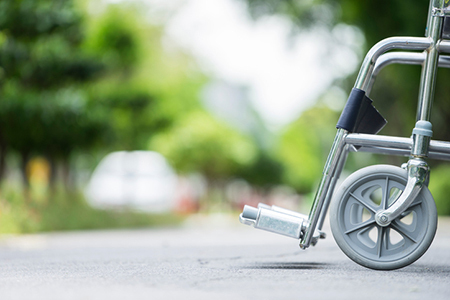 Many individuals are unaware that federal grants are available for home modifications to assist the elderly and disabled. These modifications are also deductible at tax time. Such monies can certainly help to defray the cost of adaptations, even minor ones. Going with the professionals—yes, that internet video made dismembering your house look like a snap, but unless you truly have the time and skills needed for major renovations, paying a professional contractor now will save you and future occupants much money and heartbreak later. Given our aging population, a professionally adapted house done now could be much more in-demand in years to come.